8.00 – 8.20 Screening and Risk Calculation: How to Define the Malignant Potential of Pulmonary Nodules with Implications for Surgery? 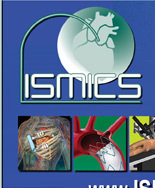 14.00 – 14.15 Is Robotic Lobectomy Able to Facilitate and Extend the Adoption of Minimally-Invasive Operation Technique? 14.15 – 14.30 Why Uniportal Anatomic Lung Resection is Gaining Acceptance so Rapidly? 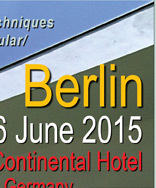 15.00 – 15.15 How To Perform Lung Resections Minimally-Invasively? 16.00 – 16.15 Is There a Role for Robotic Approach with Masaoka II/III Thymoma? Seong Yong Park1, Myung-Chul Jung2, Seung-Hyun Yoon3. Inderpal S. Sarkaria, Umamaheswar Duvvuri. Jens C. Rückert, Marc Swierzy, Harun Badakhshi, Mahmoud Ismail. Kutsal Turhan, Ali Ozdil, Yeliz Erol, Alpaslan Cakan, Ufuk Cagirici. Calvin SH Ng1, M Blair Marshall2, Allan Pickens3, Julianne M. Siegel4, John F. Cummings4, Jeffrey W. Clymer4. Narendra agarwal, shaiwal khandelwal, KAMRAN ALI, ALI ZAMIR KHAN. Daniel G. French1, Calvin Thompson2, Sebastien Gilbert1. Alan D. Sihoe, Peter S. Yu, Timothy H. Kam, S Y Lee, Xuyuan Liu. The University of Hong Kong, Hong Kong, Hong Kong. Inderpal S. Sarkaria1, Nabil P. Rizk2, Rachel Grosser2, Debra Goldman2, David J. Finley2, Amanda Ghanie2, Camelia S. Sima2, Manjit S. Bains2, Prasad S. Adusumilli2, Valerie W. Rusch2, David R. Jones2. Samina Park, Young Tae Kim, Chang Hyun Kang, In Kyu Park, Hyun Ju Lee, Yoohwa Hwang. T13. Does a Collis Gastroplasty Reduce Hiatal Hernia Recurrence after Laparoscopic Paraesophageal Hernia Repair? Joshua A. Boys, MD, Beina Azadgoli, Evan T. Alicuben, MD, Janis M. Yee, Steven R. DeMeester, MD. Ju Mei, Zhaolei Jiang, Guoqing Li, Haibo Xiao, Mingsong Wang, Fengqing Hu, Xiao Xie, Rui Hu. Mohamed M. M. ElSaegh, M.D. in cardiothoracic surgery, Afroditi Petsa, Joel Dunning, FRCS. Nicholas R. Hess, BS1, Nabil P. Rizk, MD2, Inderpal S. Sarkaria, MD3. Raghav Murthy, MBBS, Derek Williams, MD, Kemp H. Kernstine, MD.PhD. Jinwook Hwang, MD, PhD, Byung-Ju Min, MD, PhD, Won-Min Jo, MD, PhD, Jae-Seung Shin, MD, PhD. Kook Nam Han, Hyun Koo Kim, Hyun Joo Lee, Young Ho Choi. Mohommad A. Rafay, FRCS, Khaled M. Al Kattan, FRCS. Nicola Tamburini, Francesco Quarantotto, Pio Maniscalco, Elena Garelli, Giorgio Cavallesco, Professor. Bong Soo Son, MD, Chang Wan Kim, MD, Do Hyung Kim, MD, Jong Myung Park. Do Kyun Kang, Sung Kwang Lee, Woon Heo, Ho-Ki Min, Hee Jae Jun, Youn-Ho Hwang. Department of Cardiovascular and Thoracic Surgery, Haeundae Paik Hospital, College of Medicine, Inje University, Busan, Korea, Republic of. Department of Thoracic and Cardiovascular Surgery, Ajou University School of Medicine, Suwon, Korea, Republic of.